Hello, and welcome to Ladd Darley's "Utah Bucks" photo tour! Here's some great bucks that Ladd Darley photographed here in Utah. Ladd is a diehard hunter who has shared several of his trophy bucks in our "Photo Gallery". 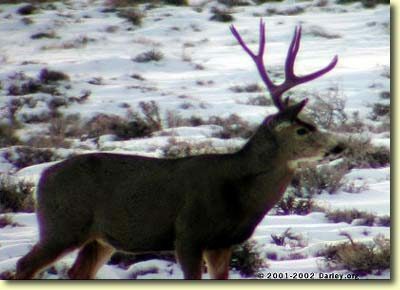 He consistently finds big bucks and has been kind enough to share a few that he has found on the winter range. At the end of this Photo Tour, be sure to visit Ladd's website.